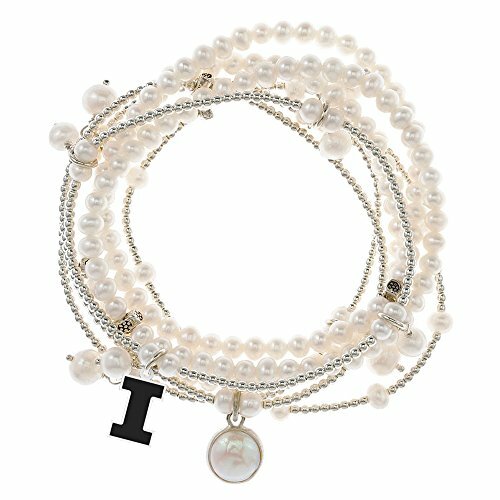 This Akron Zips bracelet contains seven strands of freshwater pearls and sterling silver beads to create a modern and fun stretch bracelet with a classic style. The addition of the logo charm is another way to show your school spirit! Sterling Silver Peace Dove Charm 8mm White Mother-of-Pearl Shell Stretch Bracelet 7.5"